A quiet charater study finds its emotional core between two friends. A delightfully quiet character study, 50/50 grants us an intimate look at what it must feel like to fall from cancer. Thanks to a solid performance from Joseph Gordon-Lovett, Adam grows evenly from collected and reserved to emotional and open. The biggest surprise from this film lies in where the writer decided to focus the true heart of the story. One would assume that it lies within the budding romance between Adam and his young therapist Katherine (Anna Kendrick). They’re both too inexperienced to be dealing with cancer—why not play off that commonality? Unfortunately their therapy sessions play less Good Will Hunting and more simply sweet and charming. Were they to take this more classical approach, her throughline would have needed to be less cute and endearing and more provoking. Their relationship would need to support the emotional side of an argument, rather than simply emotion. 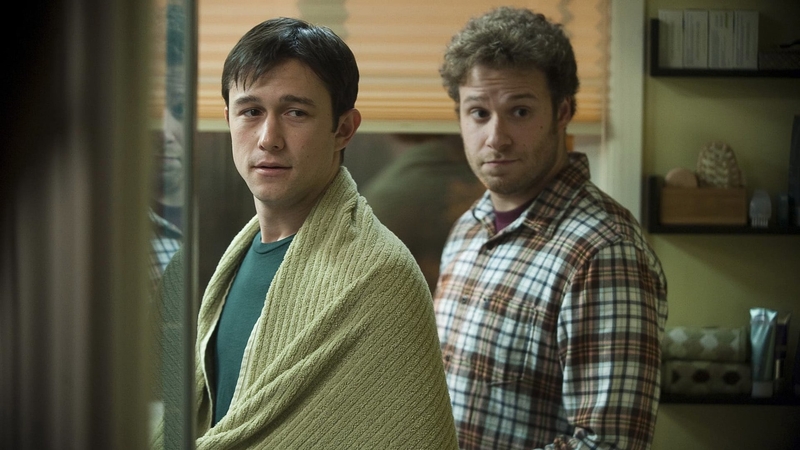 Instead, the true heart of this film—that emotional challenge—lies in the relationship between Adam and Kyle (Seth Rogen, finally playing someone other than Seth Rogen). The poster spells it out perfectly—sometimes it takes two. Now this relationship is not as strong as it needs to be (structurally speaking), but it’s enough to warm the heart and give Adam that final push into opening up. Wonderful display of subtle character development.